In a recent article on Advanced Natural Wellness, I shared my concerns about the nearly fraudulent practice of prescribing of statin drugs. Today, I want to warn you about one of the most popular diabetes drugs on the market. It’s called Invokana and it’s used to lower blood sugar in people with type 2 diabetes. It works by flushing out excess glucose when you urinate. But unfortunately, this drug comes with a long list of side effects – from urinary tract infections to more severe concerns, such as life-threatening low blood pressure to kidney damage. Now we’re learning that there’s one more side effect we have to add to the list. And it’s a doozy. It turns out that leg and foot amputations are just about doubled in patients who take this prescription drug compared to those who don’t. The most common amputations include the toes and middle of the foot, although leg amputations above and below the knee can both occur. The reason for this isn’t clear. But since the drug works by influencing the kidneys to excrete sugar in the urine, I suspect fluid and electrolyte loss may be involved. When these aren’t replenished regularly, it can result in low blood volume and a decreased flow of oxygen and nutrients to your extremities. I don’t know about you, but there will never be a moment in my life when the loss of a limb is a positive outcome. Diabetes isn’t a hard disease to understand. If you eat a lot of sugary, starchy, processed and refined foods, they’ll send your blood sugar into the stratosphere. Then, insulin rushes in to pull those sugar levels back down to normal levels. But when your body is constantly producing insulin in an effort to control your sugar, your sensitivity to the hormone becomes compromised. Eventually you become insulin resistant. In the end, there’s no longer a gatekeeper (insulin) to keep your blood sugar in check. In other words, diabetes isn’t a sugar problem. It’s an insulin problem. And peeing excess sugar out of your body won’t really do anything to cure the disease. Other diabetes drugs that work at the sugar level don’t, either. They just help manipulate blood sugar numbers. In the end, you’re still diabetic. And the results can be pretty devastating. Type 2 diabetes increases cardiovascular risk. It’s also associated with the development of cancer, kidney disease, dementia, depression, eye disease, bone damage, neuropathy and other health concerns. If you absolutely have to take a pharmaceutical drug to save your life, I’m 100% behind you. On the other hand, if you can avoid taking diabetes drugs by making healthy life choices, this should always be your first line of defense. And make no mistake about it. Type 2 diabetes is an entirely preventable and manageable disease. There are also a few supplements I recommend to patients who are wrestling with blood sugar control. Chromium makes your cells more receptive to insulin, so they can better process glucose. It comes in various forms, including chromium chloride, chromium nicotinate, chromium picolinate, high-chromium yeast, and chromium citrate. I recommend taking chromium picolinate, between 400 and 600 mcg a day. Low vitamin D levels appear to increase the risk of developing insulin resistance. If you are vitamin D3 insufficient, (under 40 ng/ml) take 5,000 IU of D3 in the cholecalciferol form each day with Vitamin K2 in the same capsule/gelcap. Recheck your levels in three months. When you reach 60-70 ng/ml continue with 1,000 to 2,000 IU daily to maintain healthy levels. 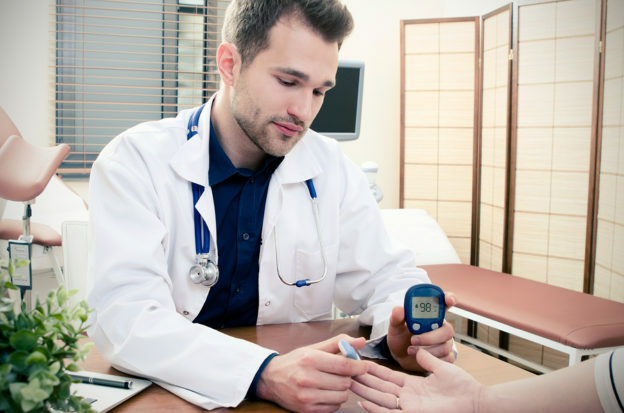 Please be sure to work with your doctor as you take measures to bring your diabetes or metabolic syndrome under control using these safe alternatives. FDA Drug Safety Communication: FDA confirms increased risk of leg and foot amputations with the diabetes medicine canagliflozin (Invokana, Invokamet, Invokamet XR). Drug Safety Announcement. U.S. Food and Drug Administration. May 2017. Al-Shoumer KAS, et al. Is there a relationship between vitamin D with insulin resistance and diabetes mellitus? World J Diabetes. 2015 Jul 25; 6(8): 1057–1064. Is Perfect Blood Sugar Possible?